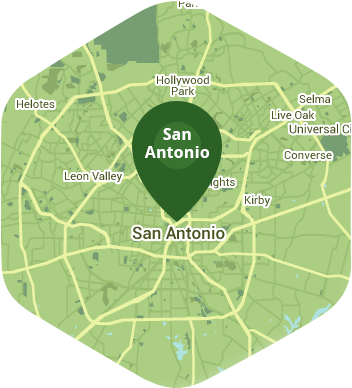 Get FREE instant quotes on San Antonio lawn mowing service. Lawn Love is revolutionizing the lawn service industry. It's never been easier to book lawn mowing service in San Antonio. Book Now. History, culture, awesome people, and lovely looking lawns can all be found in the city of San Antonio. It is a fast growing city and is considered by many to be a great place to live and work in, and we understand if you don't feel like mowing your lawn whenever you have some free time. You're probably thinking of visiting the Alamo Mission or taking a stroll on the lovely River Walk instead of sweating behind a lawn mower. Call Lawn Love because we would be happy to mow your lawn for you. Mowing your lawn might sound like a pretty straightforward thing to do, but many homeowners see it as something of a chore. Your lawn needs to be mowed regularly, especially during the warmer months as this will help make your grass look greener and healthier. The grass also needs to be cut to the correct height each week to allow all areas of your lawn to equally soak in some much needed water and sunlight. At Lawn Love we use a different approach for every lawn we are asked to mow as this allows us to best meet the needs of each individual lawn. You can book our services by getting a two minute quote or by calling us at 210-802-4223. Rated 4.77 / 5 stars in 7,308 San Antonio customer reviews. Dusk and dawn are the best times to water your lawn (the sun will rise at 6:58 AM and set at 8:06 PM today in San Antonio). Here are some average lawn care prices for homes in San Antonio.